Cyanotype was traditionally a photographic printing process, used by engineers to produce copies of drawings, or ‘blueprints’. 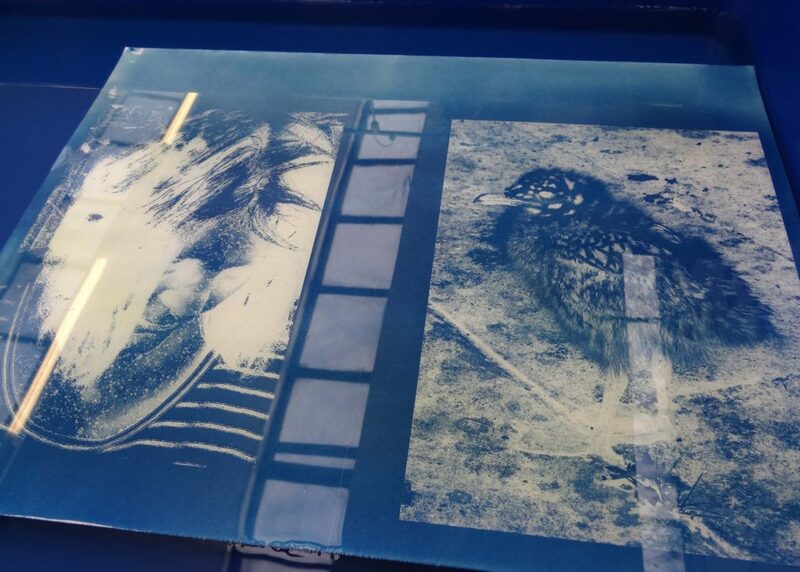 This two-day workshop is a chance to experience the Cyanotype printing method but Gill will take the processes into the dark room, a quicker alternative to sunlight. 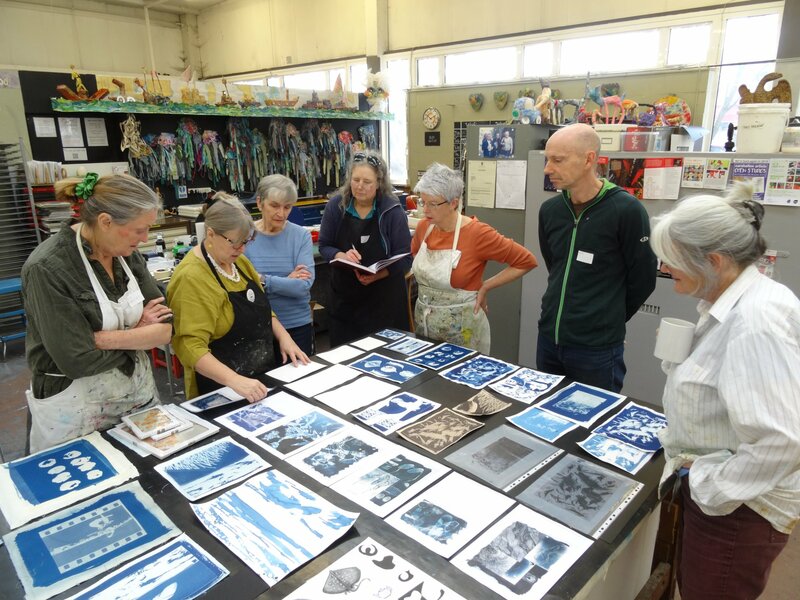 You will also explore two-layered Cyanotypes with her and have an opportunity to experiment with alternative colours to the traditional blues.